Sometimes just before Gavin Dodd heads out on to the competition floor he keeps a sugar pill close by just in case he needs it. It’s not to give him a sugar high as he heads out to do a combination of twists and turns on the trampoline mat — it’s his life line. Diagnosed at the age of 4, the 12-year-old from Kamloops has never let being a type 1 diabetic stand in his way of becoming one of the bright young stars in the world of gymnastics. 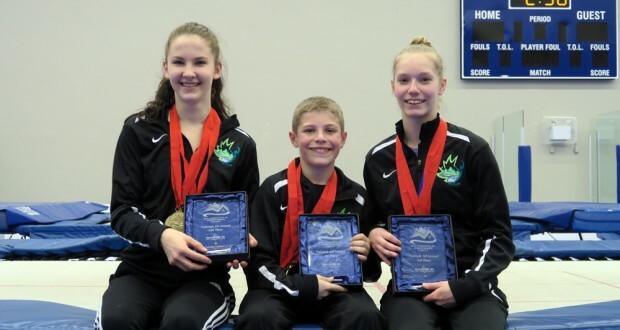 This week at the 2016 Global News national championships in artistic and trampoline gymnastics at the University of Alberta’s Butterdome, Dodd won two gold medals in the double-mini trampoline and tumbling competition and a silver in the synchro trampoline competition. After the preliminary individual trampoline competition Dodd sits in second place gunning for another medal. “I was never worried about it holding me back. I’ve never thought about it as ever being a disadvantage in my life. That’s the way it is. I am not going to stop just because I have this,” said Dodd. On a regular day, Dodd has to check his blood sugar between five and six times a day. During a competition it’s at least that many times — sometimes more. He’s been competing since he was six-years-old, so it’s been nothing new for him, but it just takes more effort to manage his diabetes. If his blood sugar is too high he can be sluggish. Too low, and it becomes very dangerous. “I have to take everything into consideration. If my number is higher right before I compete, that could be adrenaline or excitement or it could be higher. I just have to take everything into consideration so I’m not wrong,” said Dodd. This is Dodd’s third straight national championship and it’s been by far his best results. 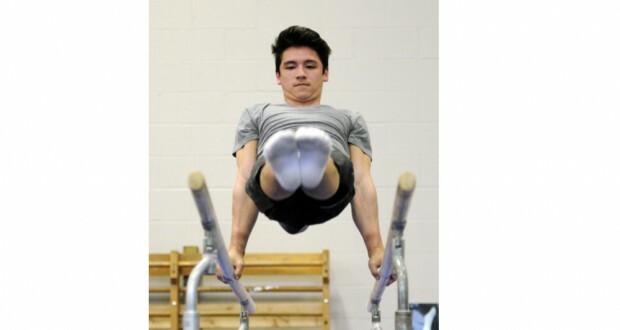 Over the last year, he has developed into one of Canada’s best young gymnasts. In fact, he could even be considered one of the world’s best young gymnasts in his age group. 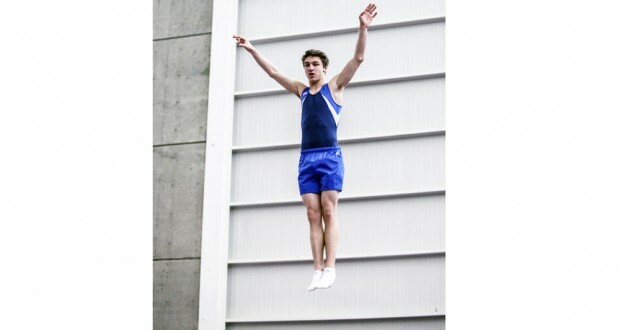 Last November, he represented Canada for the very first time at the 24th International Gymnastics Federation Trampoline Gymnastics World Age Group Competition in Denmark and he won gold in the in double-mini trampoline event. For those who aren’t familiar with this event, it’s similar to that of the gymnastics vault where the gymnast will sprint and jump and two a series of tricks landing on two small trampolines before sticking their landing. Now, he’s a world champion. Dodd has taken that experience in Denmark and continued his strong performances. Something that is unique about the national championships is that they’re held at all the different age levels. So someone like Dodd can get a front row seat and watch his idols in trampoline perform their amazing tricks. “I look up to Jason Burnett because of his skill set and with everything that he’s been able to accomplish,” said Dodd. When he’s not performing on the big stage this week, he’s spending time at the Butterdome watching all of the senior trampoline competitions.